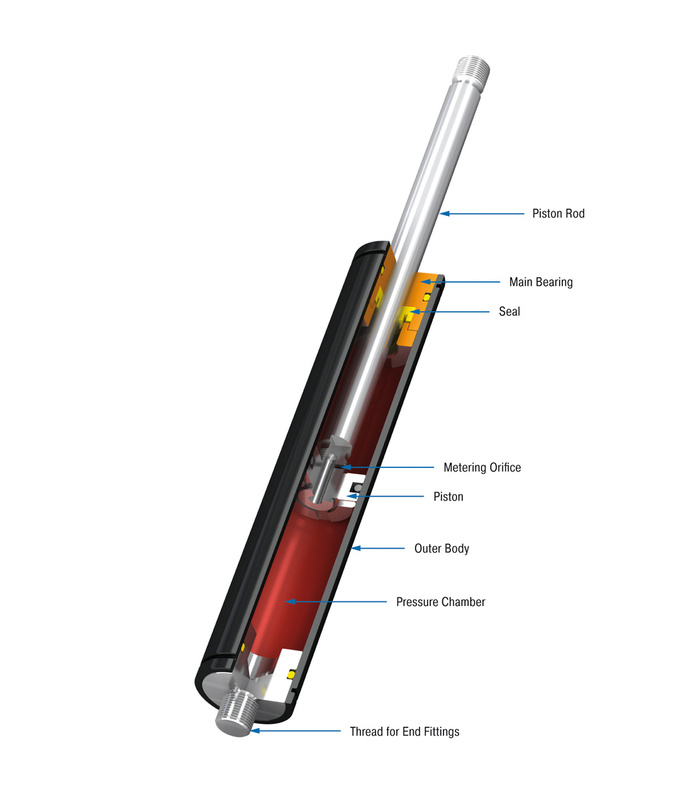 HB-12 to HB-70 - Hydraulic Dampers - Motion Control - Products - ACE Controls Inc.
High quality and long service life: The hydraulic dampers of the product family HB can also be used as single or double acting brake. 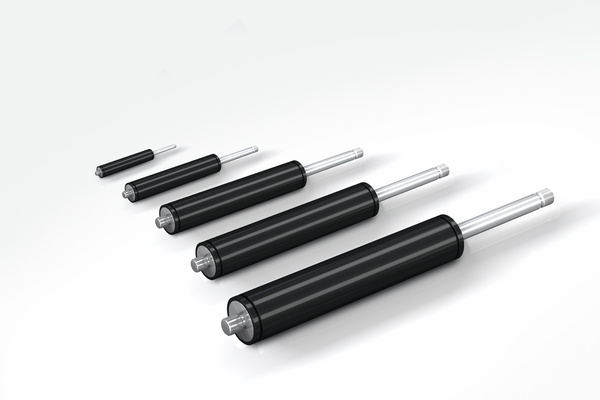 Its coated body and piston rods with wear-resistant surface treatment are features of high quality and long service life. The maintenance free, ready-to-install and closed systems provide a constant feed rate and are adjustable. The control segment on the piston makes adjustment at the end position child’s play. Thanks to a broad selection of end fittings the assembly is easy to mount, so that the damper can be universally deployed for damping swinging masses, such as in power or free conveyors. On automotive, automation and machine building, medical technology or the electronics and furniture industry, these machine elements are found in a number of different areas. Free travel Construction of the damper results in a free travel of approx. 20 % of stroke. 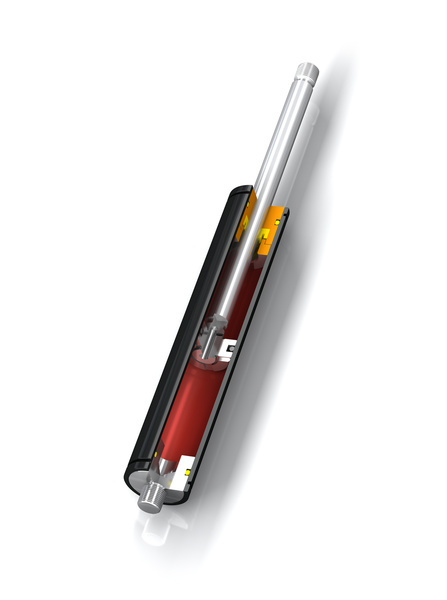 Separator piston Available as a special option without free travel achieved by separator piston and nitrogen accumulator. Adjustment Achieved by turning the piston rod in its fully extended or fully compressed position. Positive stop External positive stops 0.04 in to 0.24 in before the end of stroke provided by the customer.